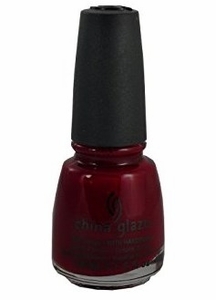 China Glaze Nail Polish, Seduce Me, 556, .50 fl. oz. Deep berry red creme nail color with subtle wine undertones. Patent Leather In The City Collection.